The Walking Dead's Deceased Characters Reunion. . HD Wallpaper and background images in the द वॉकिंग डेड club tagged: the walking dead season 6 deceased characters. This द वॉकिंग डेड photo might contain अच्छी तरह से तैयार व्यक्ति, सूट, पैंट सूट, pantsuit, पैंट्सट, and अच्छी तरह से कपड़े पहने व्यक्ति. You might wanna add the name of the characters in the tags, so it'd be easier to find later: Sophia, Mika, Jacqui, Lizzie, Tyreese, Noah, Beth, Philip, T-Dog, Bob & Sam. Just an advice. And this picture is really beautiful and well done. I was actually going to post it lol! 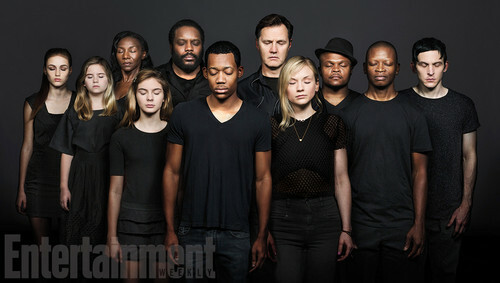 Wow, TWD really doesn't like blonde girls or black guys. I know right! And one will be added to that list in three days lol! !